FOX has cancelled Brooklyn Nine-Nine after five seasons on air, the network announced today. The show will now conclude with its fifth season finale, "Jake & Amy", which airs Sunday, May 20. 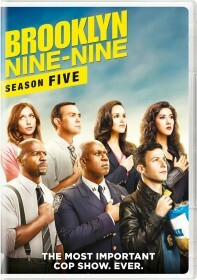 Brooklyn Nine-Nine will have produced 112 episodes since its premiere in September 2013. The show and its star Andy Samberg won Golden Globe awards in January 2014 just months after the show's debut.